Alongside a field of jasmine, some children have set up a stall selling lemonade. 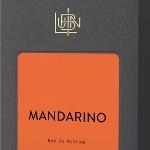 Their "Mandarino" is made from the juice of a handful of slightly bitter kumquats, and a few sweet mandarins, mixed with some cool orangeade. Their laughter is carried on a fresh and carefree summer breeze.